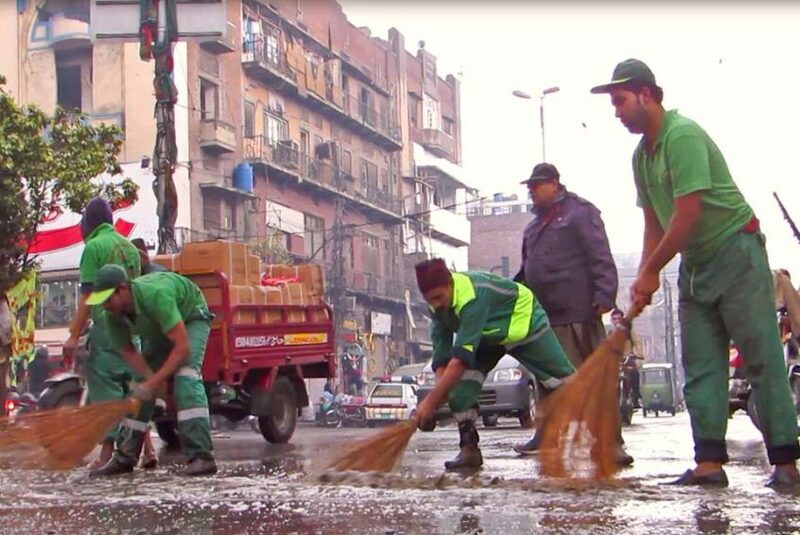 Albayrak Waste Management has deployed sanitary squad on the choking points to ensure smooth flow of water on the city roads during rain spell. The Communications & Operations teams of Albayrak on Monday, paid a visit to Lakhsmi Chowk and its adjacent localities to monitor cleanliness operations during rainfall. During the visit, the teams also stepped out in the residential and commercial areas to seek public cooperation in proper waste disposal. The citizens were urged to not to litter on streets and to avoid throwing waste near drains. They were also requested to lodge their waste related complaints on helpline 1139 for quick resolution.